When Windows 8 was introduced many felt that the relationship between Microsoft and their users had soured. 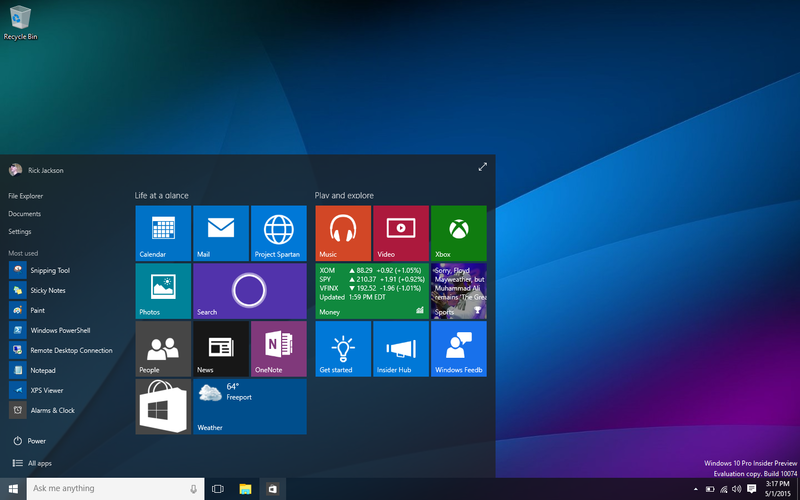 Microsoft is looking to rekindle that relationship with Windows 10. Anticipation is high as Windows 10 release date is expected at the end of July and there is a lot to get excited about! 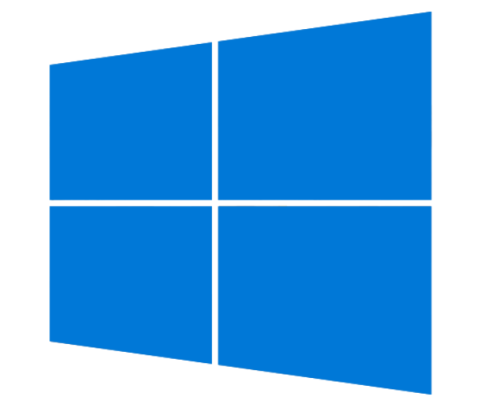 Microsoft has announced that Windows 10 will be a free upgrade in the first year for all Windows 7, Windows 8, and Windows 8.1 users -- after a year Windows updates may move to a subscription based model. 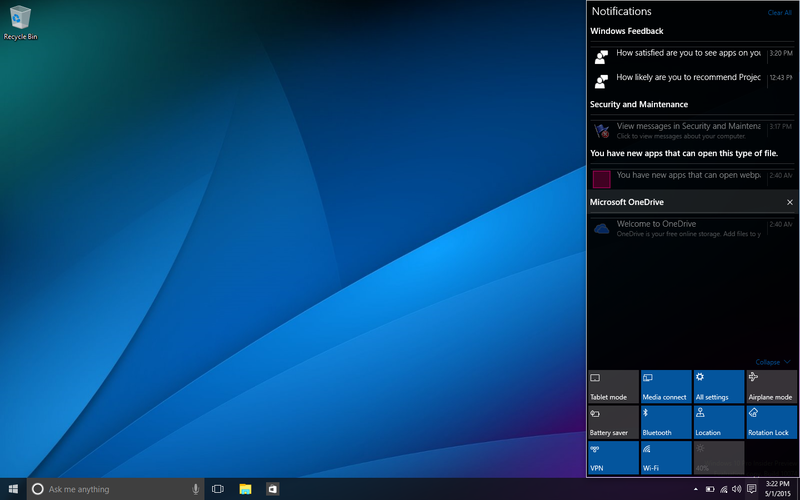 If you want to see what all the buzz is about you can download and install the latest Windows 10 Preview build. You can burn the ISO to a DVD/USB using the "Windows USB/DVD Download Tool". The latest Windows 10 build reintroduces the return of Aero effects (translucent glass design) that users had grown accustom to in Windows 7. 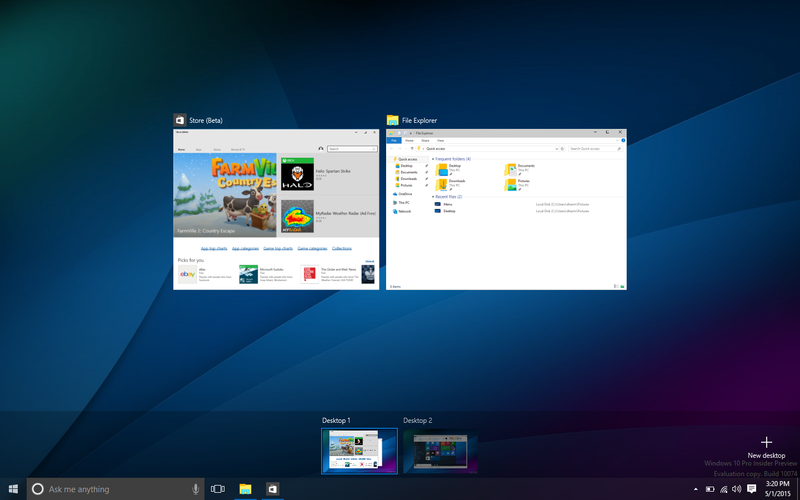 The Windows 10 start menu is also reminiscent of Windows 7 confronting one of the biggest complaints with Windows 8 -- the Metro start menu. Microsoft Cortana, named after an artificial intelligence character in Microsoft's Halo video game series, is an intelligent personal assistant developed by Microsoft for Windows 10. Users can change the settings so that Cortana calls users by their names or nicknames. It also has an extensive library of Easter Eggs consisting of witty remarks. Also "Internet Explorer" the default browser for Windows has been replaced by the "Project Spartan" browser which is now called "Microsoft Edge". You will notice a notifications icon that appears in the taskbar tray; the feature is comparable to notifications in OS X. Also residing in the taskbar is "Task View". A task switching feature comparable to "Workspace Switcher" in Linux; that allows you to open multiple desktops and switch between open applications for more efficient multitasking. And "Windows Store Beta" will reportedly house Android and iOS apps. For a preview of what to expect with the release of Windows 10 check out "Windows 10 Keynote" and watch developers show off some of Windows 10 latest features.